We’re happy to announce that we’ve just released a new version of OPAL - our framework for building clinical facing digital services. So - what’s new in this release? 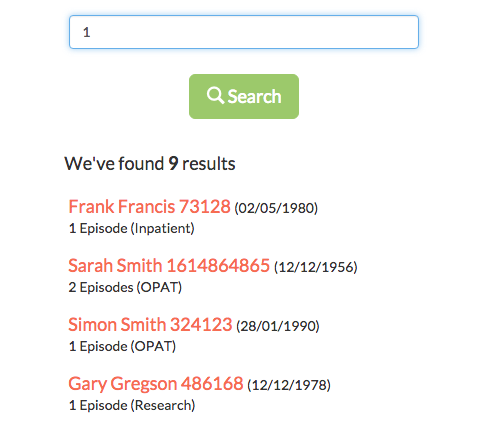 We’ve completely re-designed our search pages to help clinicians find the patients they’re interested in more easily. We also default to having a search box in the navigation of every page. In addition, we’ve been working hard to make search backends pluggable, so that in the future you’ll be able to drop in alternative backends of your choice as your application scales. We spent a lot of time over the past few months collating feedback from users and doing research to understand how we could improve the core Patient List views. As a response to that we’ve updated the list interface - making it clearer which patient is currently active, and removing some of the features that weren’t actually helping our users to care for patients. 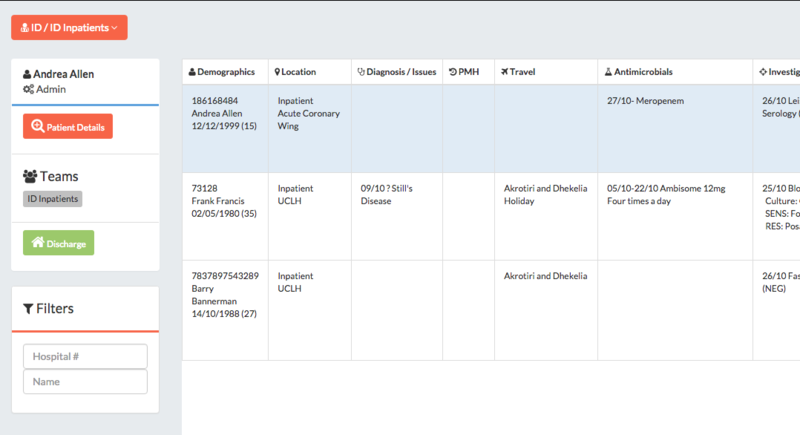 We added four new utility fields to Patient and Episode subrecords - created_by, updated_by, created, updated. This gives developers easier programatic access to high level audit trail information, without having to navigate the low level Django Reversion API - which is still there for when you need more detailed audit trail information. This release introduces Select2 to OPAL - which provides us some nicer widgets - particularly for fields associated with lookuplists, and has also enabled the development of list types as Subrecord fields. For example this means that your travel can be to a list of countries when you take a backpacking trip through Southeast Asia! Just because this release is out, we’re not resting on our laurels - in fact we’re already gearing up for the next releases. We’re planning to look at the information architecture of Episode detail views, including a new Notes view that’s currently being tested by some users of the elCID project. We also plan to refactor some of the core data models back into OPAL to provide them there by default rather than implemented over and over again in individual applications. As ever, because OPAL is an Open Governance Open Source project, you can follow our progress over on our public Waffle board where we’ll be organising our work. If you want to find out more about OPAL or how Open Health Care can help you to run high quality digital services for doctors in your institution then do get in touch!